In the PWL, Delhi will face Jaipur Ninja in their first match, who started their PWL campaign with a win. It is said that soulmates may conquer the world with the intensity of their love, but what if the soulmates turn teammates for a task? Surely, wonders await en route to success! The story of Rio Olympic Bronze medalist wrestler Sakshi Malik and her fiance Satyavrat Kadian is one such wonder story of sheer togetherness. 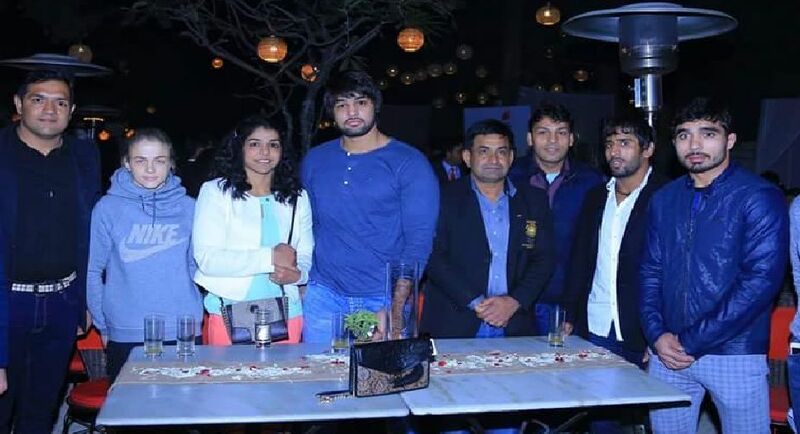 They are a team in Colors Delhi Sultans, for the ongoing Pro Wrestling League. thestatesman.com caught up with the pair on the sidelines of their team launch in New Delhi, where they spoke about the league and the life beyond it. “We know each other, understand each other and understand the training and skills that we carry. We help each other in the training session and make ourselves improve everyday. So, nothing could be better than this,” Sakshi said in an exclusive interview. Six feet wrestler from Rohtak, Satyavrat won Silver medal in the 2014 Glasgow Commonwealth Games, followed by a Gold medal in the 2016 Commonwealth Championships held in Singapore. In the PWL, Delhi will face Jaipur Ninja in their first match, who started their PWL campaign with a win. However, Satyavrat feels his team is strong enough to make a thumping start in the league. “We saw their (Jaipur’s) matches closely and studied what skills they applied for their victory. Our coaches will make strategy for every match, every opponent. We are training hard and we'll try to put our best foot forward,” Satyavrat, who competes in the 97 kg category, added. After winning the Bronze medal for India in the Rio Olympics, expectations with Sakshi have gone up. Sakshi emerged as a guardian angel for India at Olympics as she brought the first smile, winning the first medal for India in the edition. “The feeling can't be explained in words. I always dreamt of representing India in Olympics and I won a medal in it. It was all like a fairytale,” Sakshi said, recalling the big moment. Sakshi believes that the state of women wrestling in India is improving and the upcoming generations are coming up to opt the wrestling sport. Watching the success of Dangal, the biopic based on Commonwealth Games Gold medalist wrestler Geeta Phogat, Sakshi said such movies inspire aspiring sports persons. Looking at the New Year 2017, the pair revealed their New Year resolutions. “We'll put our full focus on the tournaments to come. Even after marriage, we'll be devoted to the wrestling sport,” Satyavrat said.